Q. Who owns Champion Legacy Resources? We are a family-owned and operated business managed by father and son team, George and Hugh Champion. We are based in north-east Georgia. Champion Legacy Resources has been in business since 2007. George started the business with his son Hugh. George, Hugh, and Tony Strickland bring a combined sixty years of forest management experience to the table to assist you with your timber stand. The company, and its owners have earned a reputation for quality work, integrity, and exceptional customer service. 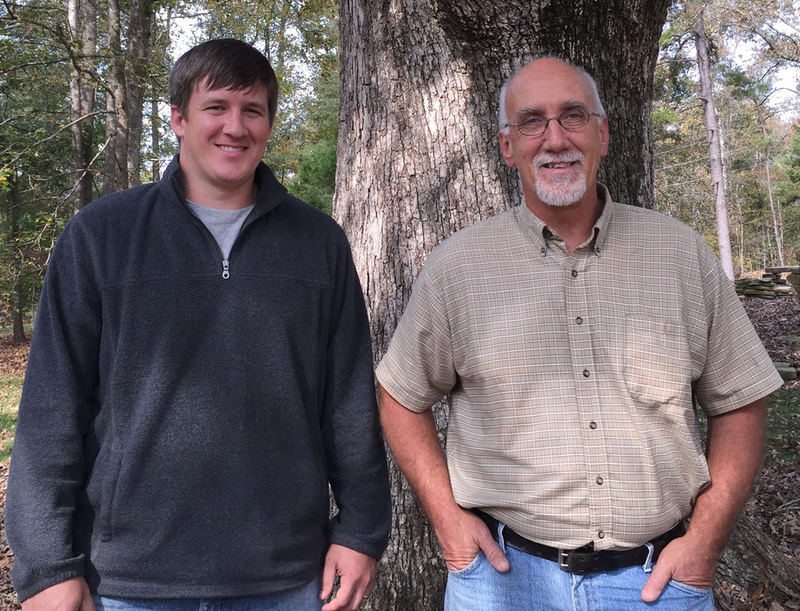 Both George and Hugh Champion, owners of Champion Legacy Resources, are certified Master Timber Harvesters. Q. From whom do you buy timber? We primarily purchase timber from private landowners, mostly families. We purchase increasing amounts from private investment partnerships who hold land for investment. We also participate in timber sales conducted by the US government on US Forest Service owned land. In addition, we work with a number of qualified consultants. Q. Where do you buy timber? We buy timber in Georgia, South Carolina, and North Carolina. Most of our clients are located within a 150 mile radius of north east Georgia. Q. How big does our tract need to be? We consider timber stands 15 acres and larger. Q. What kind of timber do you buy? We purchase pine and hardwood timber. Q. Will you personally oversee my harvest? Champion Legacy Resources subcontracts with certified loggers who are experienced and efficient. We oversee the harvest of the timber and link the timber owner's needs with the loggers performing the job. Q. Why should we choose to work with you? Champion Legacy Resources are a trustworthy and knowledgeable team of professionals whose credibility is acknowledged by our clients and customers. We have a proven history of excellence and care about forests and forest stewardship. We stay in continuous contact with our markets in order to ensure you receive the highest prices for your timber stand in addition to a stable harvest schedule. Our clients include include Georgia Pacific, International Paper, Resolute Wood Products, Clendenin Lumber Company, and Huber. Please contact us so that we can arrange a time to visit to discuss your objectives. Champion will provide a no obligation assessment of your timber tract.